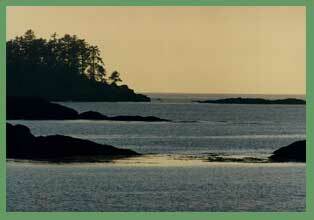 The West Coast Vancouver Island (WCVI) Regional Information System is a collaborative project of the West Coast Vancouver Island Aquatic Management Board, Uu-a-thluk and the Clayoquot Biosphere Trust. The web atlas is hosted by the BC Community Mapping Network. The purpose of the WCVI Information System is to increase access to and sharing of information about the communities, ecosystems and their uses in the region. It is meant as a meeting place for a range of information and knowledge of the region in one location. Maps shown on the atlas come from many sources. Consult the metadata for this information. This atlas is for purely informational purposes. Any questions about particular maps should be directed to the contact identified in the meta data. Development of this atlas is an ongoing process. We welcome and encourage any feedback and suggestions for further development. Please email our atlas manager at infosys [at] westcoastaquatic [dot] ca. Thank-you.